In hybrid cloud environments, it is imperative that the management platform is versatile enough to handle data — no matter where it is stored. OnCommand® Cloud Manager brings in this hybrid and multicloud storage management capability, which provides a single-pane view of your storage system irrespective of whether your system is deploying with AWS, Azure or on-premises. Data management and orchestration are important ways that companies can save on time and costs. This blog post will explore the capabilities of OnCommand Cloud Manager that unify siloed storage systems and enable hassle-free configuration and management of cloud storage. 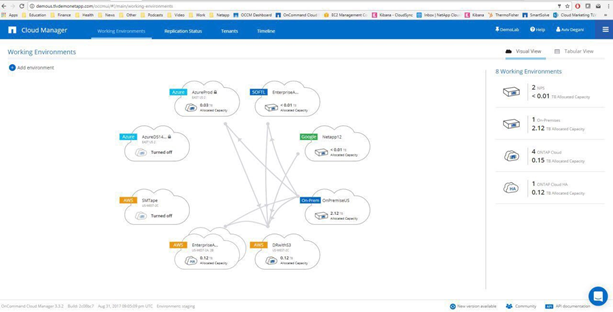 NetApp’s Data Fabric vision aims to create a seamless experience for data access and management across hybrid environments, and OnCommand Cloud Manager plays a key role in that vision. With Data Fabric in place, organizations need not worry about the placement of data — Data Fabric allows data to be aligned anywhere in the hybrid architecture within their application requirements. It also provides the flexibility to move or migrate data in a hassle-free manner at any time. Data Fabric focuses on the five major design principles of Control, Choice, Integration, Access and Consistency in order to deliver an enterprise-class offering trusted by many organizations to meet their hybrid cloud architecture needs. The Data Fabric can be designed to span across multiple deployment topologies to optimally suit an organization’s requirements. 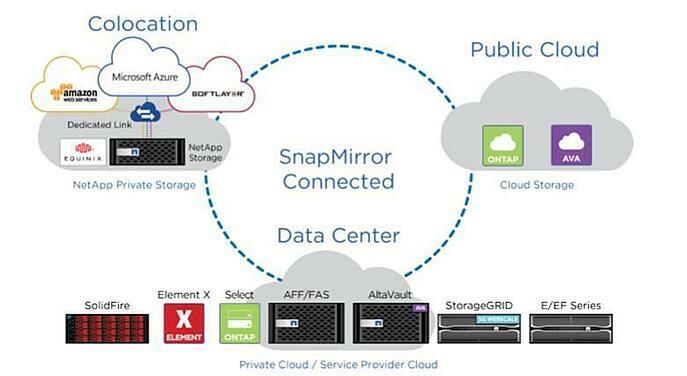 SnapMirror® allows users to replicate data between on-premises and the cloud or between Cloud Volumes ONTAP (formerly ONTAP Cloud) instances hosted in different clouds. SnapVault® backups help in long-term retention by replicating snapshot-based backups. OnCommand Cloud Manager acts as the management pane of the Data Fabric, supporting the major public clouds or hybrid platforms and facilitating deployment and management of Cloud Volumes ONTAP endpoints. OnCommand Cloud Manager provides hassle-free single-pane management for your storage systems deployed across multiple environments. This includes on-premises physical storage devices as well as virtual storage appliances provisioned in AWS or Azure. Cloud Volumes ONTAP deployment, while easy to use on its own, is further simplified by OnCommand Cloud Manager. From the default storage system view of OnCommand Cloud Manager, you can easily launch Cloud Volumes ONTAP resources in either AWS or Azure. In addition to that, other administrative tasks such as NFS and CIFS provisioning, data replication across hybrid environments, license management and system upgrades can be done from the OnCommand Cloud Manager UI. This service is flexible in terms of deployment, allowing you to deploy it either on-premises or through a VM in the cloud. The only prerequisite is a network connection to the environments where you are planning to deploy Cloud Volumes ONTAP. For example, an OnCommand Cloud Manager instance deployed in Azure can be used to manage Cloud Volumes ONTAP systems deployed in AWS and FAS systems deployed in your data center. To deploy OnCommand Cloud Manager in AWS, you simply need a VPN connection to the Amazon Virtual Private Cloud from your data center and you can manage your on-premises ONTAP clusters seamlessly from the same interface. OnCommand Cloud Manager fits in to the Data Fabric vision by providing the management layer on top of the Data Fabric. Using OnCommand Cloud Manager, implementation of hybrid cloud architectures becomes quite easy. The system discovers your on-premises FAS system and adds it to your Cloud Volumes ONTAP systems. From there you can use SnapMirror to enable replication to storage systems in the cloud, and continuously synchronize those systems according to your predefined schedule. The day-to-day operations related to the virtual and hardware storage nodes of the Data Fabric is also taken care of by the OnCommand Cloud Manager. With just a click of a button, users can provision and monitor the underlying compute and storage in respective cloud environments. OnCommand Cloud Manager is an industry-standard product with features and benefits catering to ever-evolving requirements of modern enterprises. Let us look at ten of the key benefits this tool provides. Cloud Volumes ONTAP resources can be easily provisioned using OnCommand Cloud Manager, irrespective of the target deployment environment. OnCommand Cloud Manager mediates with AWS and Azure cloud environments and seamlessly handles the VM creation and configuration process for hosting Cloud Volumes ONTAP. The entire process is transparent and happens with minimal input from the user. OnCommand Cloud manager integrates with AWS and Azure cloud and has visibility to data across these platforms. You can also easily migrate your applications across multiple clouds from the OnCommand Cloud Manager interface, thereby avoiding cloud vendor lock-in. OnCommand Cloud Manager can be integrated with existing orchestration platforms for end-to-end orchestration of tasks such as NetApp Private Storage and Cloud Volumes ONTAP instance provisioning, NFS/CIFS volume creation and more. OnCommand Cloud Manager eliminates the need for administrators to login to multiple consoles/portals to manage their storage systems. OnCommand Cloud Manager also makes it extremely easy to add new Cloud Volumes ONTAP instances and manage existing physical storage systems. Additionally, it abstracts the back-end operations, so the administrator only needs to focus on which volume type to provision for target applications. OnCommand Cloud Manager supports Cloud Volumes ONTAP systems deployed in AWS and Azure. It can also be used to manage on-premises hosted NetApp Fabric-Attached Storage (FAS) and NetApp All Flash FAS (AFF) devices. It is the preferred solution for hybrid environments that include a mix of different storage solutions. OnCommand Cloud Manager managing multi-cloud and on-premises ONTAP systems. From the volume view of OnCommand Cloud manager, it is easy to provision the storage volumes required for VMs in your cloud environment. You can also create clones of existing volumes for quick launch of new environments based on existing ones. These clones are space efficient and only consume additional storage when data is changed or added. You can easily discover and replicate data from on-premises ONTAP cluster nodes to an Cloud Volumes ONTAP hosted in Azure or AWS by using the OnCommand Cloud Manager interface. In “lift & shift” scenarios, this would be a one-time replication of a source volume to a destination using SnapMirror replication. The snapshot copies of the volumes are replicated, and the data is made available in the destination volume hosted in the cloud. Configuring DR using OnCommand Cloud Manager is as simple as dragging and dropping the source system to a destination system and selecting the volumes you want to replicate. You can then configure a replication schedule and OnCommand Cloud Manager will create the replication relationship and provision all the underlying resources required without any additional user intervention. Using OnCommand Cloud Manager, all the operations are wizard-guided or have simple drag-and-drop functionality. For example, the wizard-guided processes can show you how to create new Cloud Volumes ONTAP systems or how to discover existing ONTAP clusters. Simple drag-and-drop options allow you to easily initiate data migration and replication activities across systems. OnCommand Cloud Manager provides a rich set of REST APIs that can be integrated in custom automation and orchestration solutions used by organizations. Cloud Manager APIs can be leveraged to do the tasks that can be done from the OnCommand Cloud Manager interface. This includes provisioning and managing Cloud Volumes ONTAP resources viewing operational details, setting up OnCommand Cloud Manager configurations, and more. For example, you can use these APIs to create your own workflows simulating OnCommand Cloud Manager operations using the OnCommand Workflow Automation (WFA) tool. 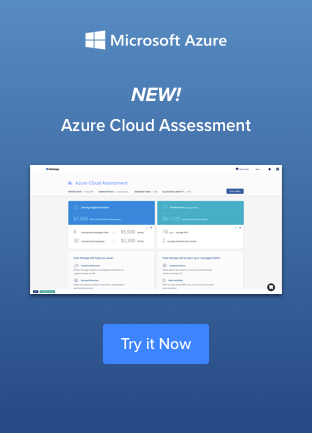 In today’s ever-evolving IT landscape, the data used by your applications could be stored either on-premises or on public cloud storage offerings from companies such as AWS and Azure. OnCommand Cloud Manager provides an innovative solution for managing resources across such diverse environments. It brings together under the same canopy the trusted capabilities of ONTAP clusters and Cloud Volumes ONTAP whether using Azure storage or AWS storage, and plays a crucial role in enabling the NetApp Data Fabric vision. If you’re ready to start facilitating many enterprise use cases such as application hosting, DevOps, file services, DR and more, try OnCommand Cloud Manager for Azure or OnCommand Cloud Manager for AWS today.